The early town grew around the Royal Palace which Henry, Duke of Gloucester, and brother of Henry V, built in 1427. A grand palace, it had battlements and a moat, and became a favourite of the Tudors. Greenwich Park was the ‘garden’ of the Royal Palace. It was the playground and hunting ground for the Tudors. Andre Le Notre, designer of the grounds at Versailles, designed the lay out of the park in 1662. James I built a wall around the park which today is open. The centre of the village, despite some damage in WW2, still shows the layout of a medieval village. Church Street has many old buildings. St Alfrege, Archibishop of Canterbury, died at Greenwich at the hands of the Danes in 1012. And since then there has been a church here dedicated to him. The C11th church was rebuilt and Thomas Tallis, who died in Greenwich in 1585, was organist there. Nicholas Hawksmoor, Sir Christopher Wren’s assistant, designed the current building in 1714. It has a large portico and a tower crowned with a cupola. The church welcomes group visits by arrangement. email office@st-alfege.org.uk Nearby is Nelson Road with Georgian buildings which have iron balconies. 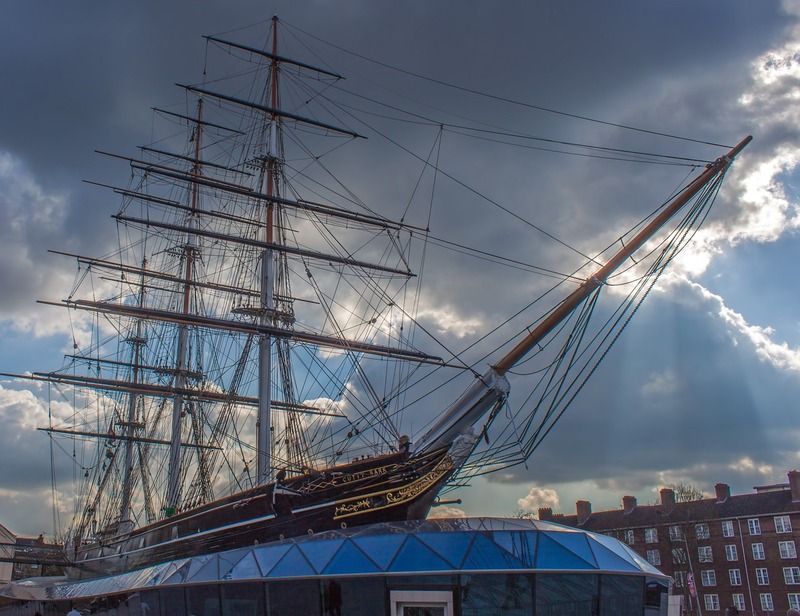 Ship builders, Scott & Linton, built the Cutty Sark in Dumbarton in 1869. One of the fastest clippers of its time, it could outrun steamships. It’s masts, over 100 feet tall, reach above the rooftops. She now stands on a space created during WW2, close to a smaller vessel, the Gyspy Moth IV. In 1966-7 Sir Francis Chichester sailed around the world single handed in the Gypsy Moth IV. The Stuarts, William and Mary, began a Great Hospital and Great Hall where Admiral Lord Nelson lay in state in 1805. 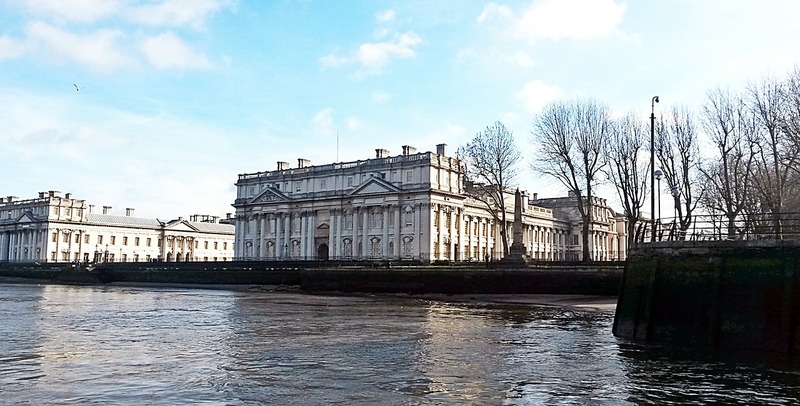 In 1873 the Royal Naval College moved into the Hospital building. The College is part of the training establishment of the Royal Navy. 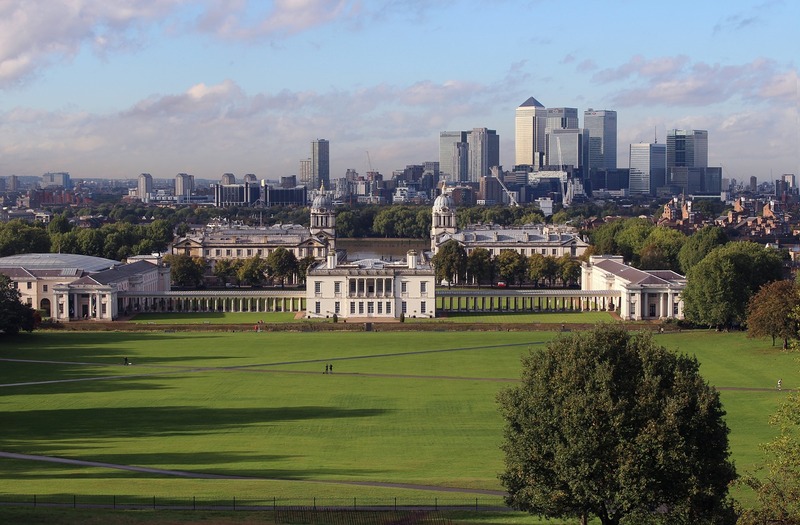 Sir Christopher Wren built the Royal Observatory at Greenwich in 1675, today the site of the Greenwich meridian line. The observatory is the country’s oldest scientific institution. Charles II ordered it to be built in ‘our Park at Greenwich upon the highest ground.’ John Flamsteed was the first Astronomer Royal. At 3.14pm on 16 August 1675 he laid the Observatory’s first foundation stone. A year later he had two clocks, a 52ft telescope and a quadrant (which he borrowed from the Royal Society) and he ‘began to observe the heavens’. 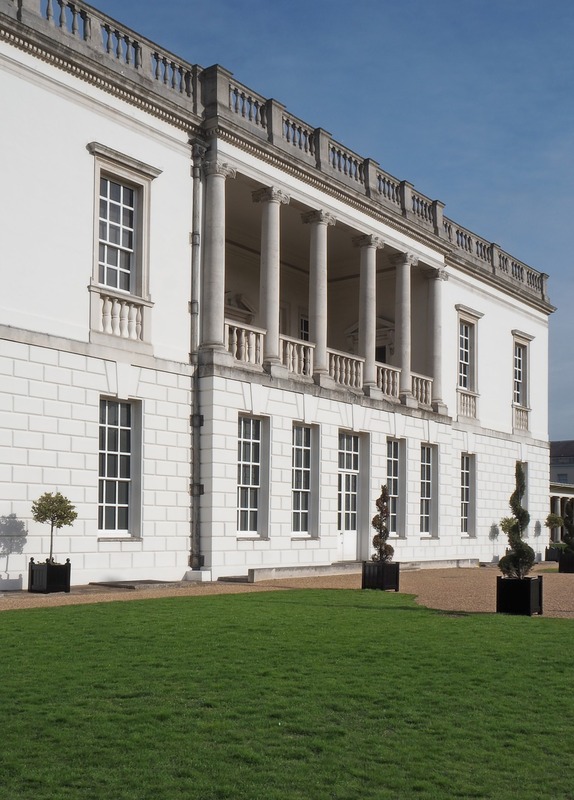 Later the Observatory moved to Herstmonceux in East Sussex, and the buildings at Greenwich are now home to the National Maritime Museum. Entry is free and the museum is open from 10 – 5. Previous PostVisit Lavenham, a Suffolk wool town, to find a treasure chest of medieval timbered buildings. In its heyday it was one of the wealthiest settlements in England. Next PostThe city of Portsmouth, with its historic dockyard, proud home of HMS Victory, is a vibrant and popular destination which blends the old and the new.